Once you debark from your cruise ship you will begin your journey to Cairo. Your first stop will be the Egyptian Museum, located in Tahrir Square in Cairo. The museum was moved here from its second home in the Giza Palace of ˜Ismail Pasha". There are 107 halls with the collection in chronological order. The ground floor holds the huge statues while the upper floors house smaller statues, jewels Tutankhamon treasures and the mummies. Your journey will continue on to Giza where you will view the pyramids and the Sphinx. The tallest of the pyramids reside at Giza. The region of Giza is one of the largest burial grounds in Egypt and it is unknown how large it actually is. After which there will be a break for lunch. There will be free time for shopping as well. Your final stop will be in Old or Coptic Cairo, where the Fortress of Babylon is located at the boundary between the middle and lower Egypt. Tolls were paid at this location during it tenure and Cairo owes its life to this fortress. Located with the fortress are several churches including the Hanging Church and the Ben Ezra Synagogue. 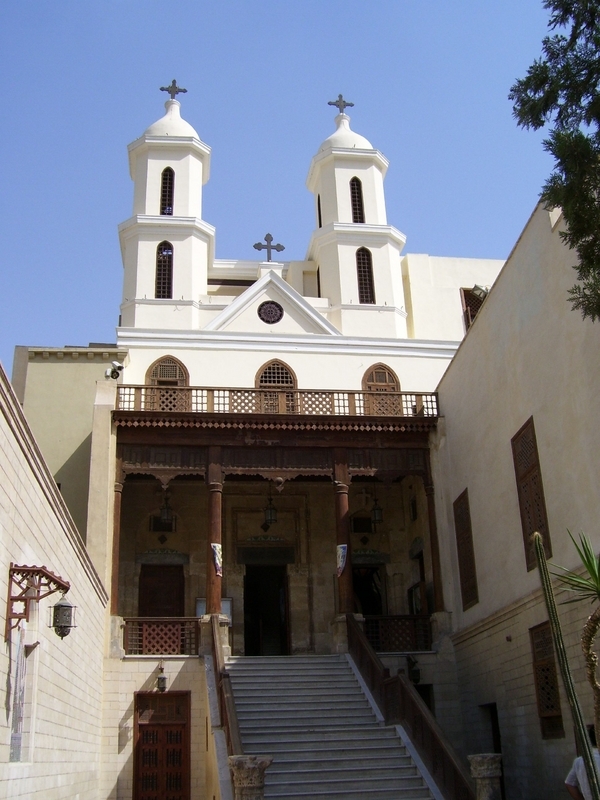 The Hanging Church is the most famous Coptic church in Cairo and is dedicated to the Virgin Mary. Its name comes from its location above a gate house of the Roman Fortress. It is approached by 29 steps. Ben Ezra Synagogue began its life as a Christian church. However, it was sold to the Jewish community to cover the taxes owed by the Christian church to the Muslim rulers of the time. Remember to bring your camera. Beverages are not included in the restaurants. Note: the Coptic museum has extra entry fee of $12. Not included in your tour: tips and entrance to the solar boat museum and mummy room. The drive to Cairo is approximately three hours each way.